Better late than never. 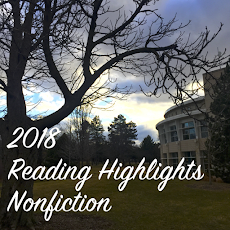 Here are some bookish highlights of 2017. I'm not saying much about these titles, but whenever I can, I link to blog posts where I've said (a bit) more. 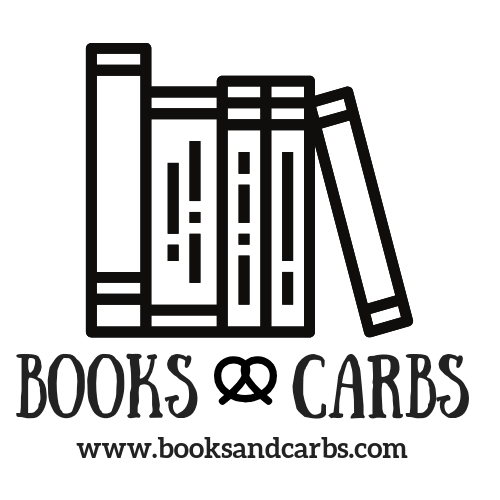 As ever, I encourage you to find me on Goodreads (I'm booksandcarbs), where I consistently track my reading. The Heirs by Susan Rieger -- Surprised by how much I enjoyed this layered story of marriage, family, love. Mini-review. Standard Deviation by Katherine Heiny -- Heiny gets the details just right in this portrait of marriage and parenthood. I said more right here. Touch by Courtney Maum -- Get your nose out of your phone and connect for real! Mini-review right here. Anything Is Possible by Elizabeth Strout -- Read My Name is Lucy Barton first, then this one, and then start on everything Strout has written. Mini-review. Eleanor Oliphant is Completely Fine by Gail Honeyman -- I adored this story of damaged, lovable Eleanor. I recommend the audio as Scottish narration is divine. Click for more. All Grown Up by Jami Attenberg -- Don't write this book off as bleak/depressing or its protagonist as unlikeable or "messed up." I thought this novel was excellent. This Is How It Always Is by Laurie Frankel -- So much to think about in this beautifully written novel of a loving family navigating gender dismorphia. No easy answers though. Read more here. Lillian Boxfish Takes a Walk by Kathleen Rooney -- I said more here, but Lillian Boxfish is a memorable character and this novel is one of the best Book of the Month picks I've made. Bury Your Dead by Louise Penny -- I'm not sure why I don't read the Chief Inspector Gamache novels one after the others because I enjoy them so much. We leave Three Pines for #6, but it's still wonderful. I really think these need to be read in order though. Station Eleven by Emily St. John Mandel -- This one sounded like a book I'd hate (world recovering after a pandemic, traveling symphony), but then I really loved it. Shows what I (think I) know. Saints for All Occasions by J. Courtney Sullivan -- A couple things about this one bothered me, but, as always, I was drawn in by Sullivan's characters and was sorry to leave them when the book ended (a bit prematurely). Mariana by Monica Dickens -- I have #bookstagram to thank for introducing me to Mariana. Published in 1940. I adored this book. The Revised Fundamentals of Caregiving by Jonathan Evison -- Strangers become friends. Road trip. Family expands. This novel pushed all my buttons -- humor, heft, and heart. Americanah by Chimamanda Ngozi Adichie -- Add Americanah to the list of books that I resisted/avoided and then ended up loving. I really liked the glimpses into life in Nigeria. Interpreter of Maladies by Jhumpa Lahiri -- I am NOT a short story person, but this collection made me think I should become one. Britt-Marie Was Here by Fredrik Backman -- Community story -- check. Stranger comes to town -- check. Unification through sports -- check. Underdog story -- check. Sweet spot novel for me. I was glad to revisit Britt-Marie (first introduced in My Grandmother Asked Me to Tell You She's Sorry, which I don't recommend) in this novel. Brat Farrar by Josephine Tey -- This one was an Audible bargain where I got more than I bargained for in a good way. I really liked this imposter-with-a-twist story. The Unseen World by Liz Moore -- Not sure what I want to say about this one except that you are in good hands with Liz Moore and it's easy to be drawn in by her characters and worlds. The Smell of Other People's Houses by Bonnie-Sue Hitchcock -- Loved the Alaskan setting, the writing, the messages about kindness, connection, family, friendship. Loved the title as I was always very aware of the smell of other people's houses as a girl. The War That Saved My Life by Kimberly Brubaker Bradley -- My son and I both loved this WWII story. Eager to read the sequel. One of Us Is Lying by Karen McManus -- Contemporary Breakfast Club with a murder mystery twist. I dug it. What to Say Next by Julie Buxbaum -- I loved the characters in this YA novel. The Sun Is Also a Star by Nicola Yoon -- What a day. Timely story about fast love, first love, family dynamics, immigration, and dreams for the future. An enterprising high schooler could productively pair this novel with Romeo and Juliet. Winter Solstice by Elin Hilderbrand -- The last in the "Winter" series did not disappoint. Save these books for the holidays, fireplace, ski chalet. The Identicals by Elin Hilderbrand -- I heart Elin Hilderbrand and love to visit Nantucket with her. This sister story was one of her best in recent years. Class Mom by Laurie Gelman -- I laughed a lot and never (considering I am currently a room mom) felt patronized. The Knockoff by Lucy Sykes -- Lighter read with good insights into the fashion industry and the ways business and publishing are changing. The Hating Game by Sally Thorne -- Fun, fun, fun, and a bit steamy too. The Impossible Fortress by Jason Rekulak -- Fun trip back to the 1980s! On Turpentine Lane by Elinor Lipman -- Elinor Lipman books are always breezy and smartly funny with interesting, complicated characters. The Long and Faraway Gone by Lou Berney -- This crime novel has stayed with me and made me strangely interested in visiting Oklahoma City. How To Raise an Adult: Break Free of the Overparenting Trap and Prepare Your Kids for Success by Julie Lythcott-Haims -- If you're a parent, this book could change your life. I can't believe I didn't blog about it. Basically, this book was full of stuff that people would have considered common sense thirty years ago but that I needed to hear. Basically, step back a bit and let your kids figure stuff out, do their projects themselves, take responsibility, fail sometimes, and learn that they have what it takes to navigate the world (which they will not know for sure if we figure out everything for them, have tough conversations for them, give them everything, etc.). Hatching Twitter: A True Story of Money, Power, Friendship, and Betrayal by Nick Bolton -- I liked this inside look of a now-famous tech start-up. The Mighty Franks: A Memoir by Michael Frank -- They'll mess you up, your aunt and uncle. Family love can be complicated. Read more here. Girl Walks Out of a Bar: A Memoir by Lisa F. Smith -- I read two alcoholism/recovery memoirs in 2017 and liked this one a lot. It was astounding to me how functioning some alcoholics can be. Makes me wonder how often I am interacting with drunk people day to day. I am so thankful that alcohol is something I can take or leave. Secrets from the Eating Lab: The Science of Weight Loss, The Myth of Willpower, and Why You Should Never Diet Again by Traci Mann -- This book felt potentially life-changing when I read it, but here I sit now, with the ten pounds I gained last summer still with me, pondering if I should f***ing join Weight Watchers one more time. I think I need to reread this one, which actually had a lot of good insights with regard to habits. Mother. Wife. Sister. Human. Warrior. Falcoln. Yardstick. Turban ... by Rob Delaney -- Delaney is honest, likable, and really, really funny. Crude sometimes, but I don't mind. His story offers insights into alcoholism, recovery, and depression. My heart breaks for him as he and his wife just lost their young son to cancer. (This book precedes that tragedy). Underfoot in Show Business by Helene Hanff -- I first met Hanff in the famous 84, Charing Cross Road and found her just as delightful, funny, and smart in this memoir about her life in show business. Big Magic: Creative Living Beyond Fear by Elizabeth Gilbert -- I came to this book as someone who had not read (and had not even wanted to read) Eat, Pray, Love. I loved and felt inspired by Big Magic. Read more right here. So You've Been Publicly Shamed by Jon Ronson -- I learned so much from Ronson and his profiles of individuals who have been publicly shamed. I think it would be great for book clubs. How to Manage Your Home Without Losing Your Mind by Dana K. White -- Sure, I've slipped back into many of my old, slovenly ways, but I really got a lot out of this book. Read more here. You'll Grow Out of It by Jessi Klein -- Klein is funny, smart, honest, but she doesn't look like Pat from SNL, even though the early chapters of her book would make you think so. I loved her descriptions of her therapist, Anthropologie, and Bar Method. I couldn't relate to a couple of her essays but was still interested in reading them. Going Into Town: A Love Letter to New York by Roz Chast -- Read this if you love NYC or want to visit NYC or need a gift for a young person who loves or dreams of moving to NYC. Roller Girl by Victoria Jamieson -- I read this with my daughter. Great story of guts and friendship. Okay then, February is almost over, and I have finally finished tasking my feeble memory to produce this account of last year's reading. I probably forgot some good stuff and oversold some other stuff, but still, I bet you can at least find a few winners from my list. 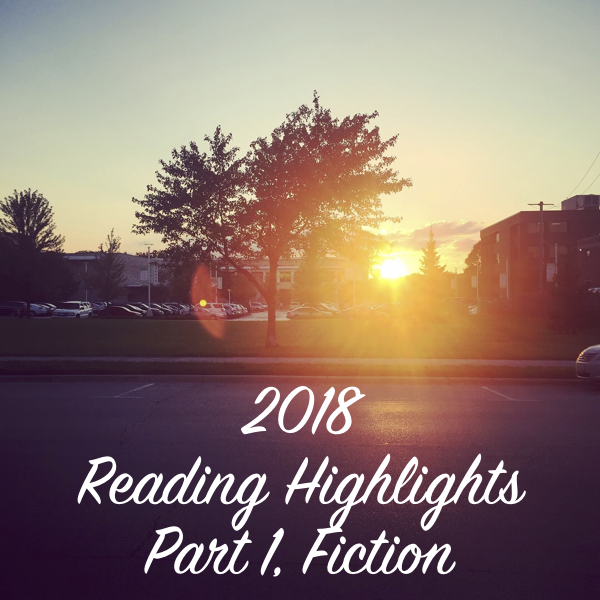 What were your best and worst reading experiences in 2017? Share in the comments or send me a message at booksandcarbs@gmail.com. Also, find me on Instagram! I am @booksandcarbs in the land 'o #bookstagram. If you're on Instagram, you can follow me there as I attempt a 2018 personal project: @mileawhile. Also, it's not fully up and running yet, but I also have a blog going for that endeavor if you want to check it out. I think I need to try Louise Penny. Been hearing too many great things about her. And we had a lot of the same notable books of 2017!